MOSCOW (Sputnik) - The crash of the Soyuz-FG carrier was caused by malfunctioning of the detector that signals separation of the rocket's first and second stages, Sergei Krikalev, the executive director of manned space programs at Russian State Space Corporation Roscosmos, said on Wednesday. The sources in the space industry have previously suggested this version to Sputnik, but it has not been officially confirmed. "The cause was malfunctioning of the detector that flags separation the first and second stages," Krikalev said at the Russian Academy of Sciences. 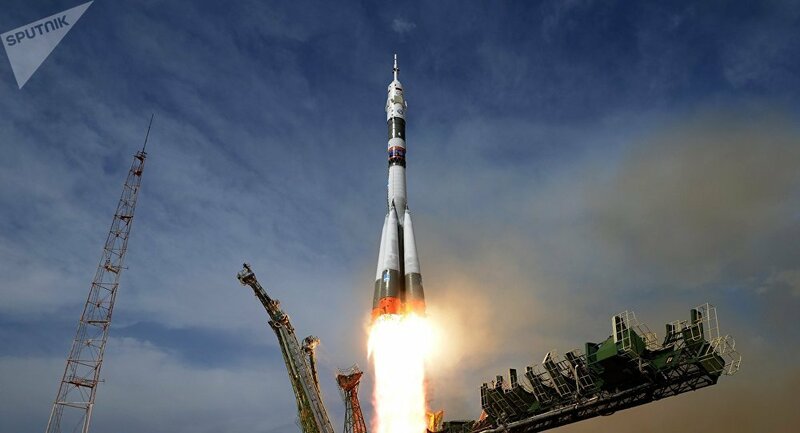 On October 11, a Soyuz-FG launch vehicle failed to take the Soyuz MS-10 spacecraft with the new crew of the International Space Station into space. This became the first failure of a manned space launch in modern Russian history. Russian cosmonaut Alexey Ovchinin and NASA astronaut Nick Hague managed to eject in a rescue capsule and make an emergency landing in Kazakhstan unharmed.